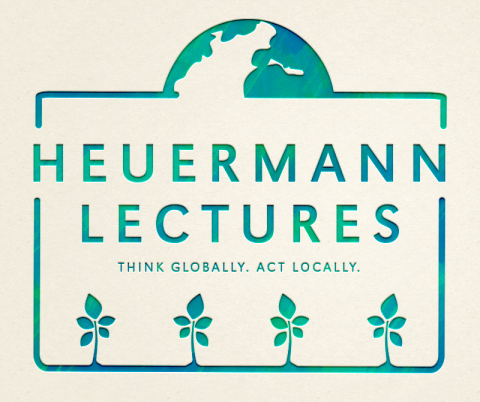 The theme for the seventh year of Heuermann Lectures is "Think Globally, Act Locally." Lincoln, Neb. — Donnie Smith, former president and CEO of Tyson Foods, will discuss global food security during the second Heuermann Lecture of the 2017-18 season on Jan. 9. Smith said he believes the story of agriculture must be told truthfully to strengthen the ability to feed a growing population. He will highlight the role conventional farming must play in this effort and why the public should vigorously and vocally defend the practice. The free lecture, sponsored by the University of Nebraska-Lincoln's Institute of Agriculture and Natural Resources, will be at 7 p.m. at the Nebraska Innovation Campus Conference Center, 2021 Transformation Drive. While president and CEO of Tyson Foods from 2009 to 2016, he led the company to focus on feeding the world high-quality, affordable food, while also making a positive difference in people's lives. Under his leadership, the company achieved four straight years of record profits, multiplying stock value six times in seven years. He joined the company in 1980, working in poultry operations for seven years in Tennessee before moving to the company's headquarters in Springdale, Arkansas, where he started as a commodity buyer. He was named director of commodity purchasing in 1991 and during the next several years added complementary responsibilities to his management portfolio. He moved into the company's consumer products division in 2008 and was named senior group vice president of poultry and prepared foods in early 2009. He is now a consultant for the company, while also focusing on his work to feed the world. Smith earned his bachelor's degree in animal science from the University of Tennessee at Knoxville. Lectures are streamed live at http://heuermannlectures.unl.edu and air live on campus channel 4. Lectures are archived after the event and are later broadcast on NET2.